In this article I want to look at two people who were very important to God’s plans, but people of whom we know so very little. From the words of God to Eve we learn that the “Promised Messiah” would be born of a woman, and Eve apparently thought that she had produced the promised seed with the birth of Cain but it was not so. Four thousand years later God appeared to a young Jewish girl, who was engaged to be married, with startling news – she was to bear the Messiah. “And in the sixth month the angel Gabriel was sent from God unto a city of Galilee, named Nazareth, To a virgin espoused to a man whose name was Joseph, of the house of David; and the virgin’s name was Mary. And the angel came in unto her, and said, Hail, thou that art highly favoured, the Lord is with thee: blessed art thou among women. And when she saw him, she was troubled at his saying, and cast in her mind what manner of salutation this should be. And the angel said unto her, Fear not, Mary: for thou hast found favour with God. And, behold, thou shalt conceive in thy womb, and bring forth a son, and shalt call his name JESUS. He shall be great, and shall be called the Son of the Highest: and the Lord God shall give unto him the throne of his father David: And he shall reign over the house of Jacob for ever; and of his kingdom there shall be no end. Then said Mary unto the angel, How shall this be, seeing I know not a man? And the angel answered and said unto her, The Holy Ghost shall come upon thee, and the power of the Highest shall overshadow thee: therefore also that holy thing which shall be born of thee shall be called the Son of God. And, behold, thy cousin Elisabeth, she hath also conceived a son in her old age: and this is the sixth month with her, who was called barren. For with God nothing shall be impossible. And Mary said, Behold the handmaid of the Lord; be it unto me according to thy word. And the angel departed from her”. Luke 1:26-38. “…My soul doth magnify the Lord, And my spirit hath rejoiced in God my Saviour. For he hath regarded the low estate of his handmaiden: for, behold, from henceforth all generations shall call me blessed. For he that is mighty hath done to me great things; and holy is his name. And his mercy is on them that fear him from generation to generation. He hath shewed strength with his arm; he hath scattered the proud in the imagination of their hearts. He hath put down the mighty from their seats, and exalted them of low degree. He hath filled the hungry with good things; and the rich he hath sent empty away. He hath holpen his servant Israel, in remembrance of his mercy; As he spake to our fathers, to Abraham, and to his seed for ever”. Luke 1:46-55. Mary recognized that by choosing her as the Messiah’s mother God was honouring her, but not only that, He was honouring the promises that He had made to Israel. What a remarkable young woman! Besides telling Elizabeth about her baby she told nobody else. If she had, the resulting scandal would certainly have attracted Satan, and God was not ready for that to happen until some time after the birth. The only-begotten Son of God was born in a stable at Bethlehem and worshipped by common shepherds. An unusual birth for the coming “King of Kings” and “Lord of Lords” and we are told that, “Mary kept all these things, and pondered them in her heart”. Luke 2:19. Although Mary believed God about the conception of the Lord she could not have fully understood the full significance of what was happening to her. Who could? 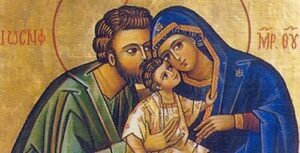 After the ceremony of circumcision and the proclamation of Simeon we are told that “Joseph and his mother (Mary) marvelled at those things which were spoken of him”. Luke 2:33. The next time that Mary is mentioned in Scripture is when the Lord was twelve years old. After visiting Jerusalem for the Feast, they left the city without Him and going back to Jerusalem they did not find Him for three days. When they did find Him, His mother scolded Him and told Him how they had worried about Him. He told her bluntly that she should have realised that He would be about His father’s business, and He did not mean Joseph’s business. Again they did not understand what He was saying to them but Mary “kept all these sayings in her heart”. Luke 2:51. Whether the Lord performed any miracles before His Ministry began at 30 years of age we are not told. He may have, or Mary may have known that He could or would do miraculous things because of who He was, because there is an interesting incident involving Christ and His mother recorded in John 2:1-12. The Lord, His mother and disciples were at a wedding in Cana and the supply of wine ran out, (verse 3). Mary obviously knew that the Lord could do something about it if He wanted to or else she would not have told Him about it and He would not have answered as He did in verses 3- 4. “And when they wanted wine, the mother of Jesus saith unto Him, they have no wine. Jesus saith unto her, Woman, what have I to do with thee? Mine hour is not yet come.” That did not put Mary off, as verse 5 makes evident. She must have learned something from being His mother for 30 years. “His mother saith unto the servants, Whatsoever he saith unto you, do it.” The incident recorded in Matthew 12:46-50 and Mark 3:31-35 must have given His mother more to wonder about as the words of her son’s difficult sayings are hard to understand, and we will not try to deal with them here. Mary is not mentioned again until the Lord was being crucified on the Cross. It is difficult for us who are not mothers to appreciate what Mary must have been going through as she saw her precious son hanging on that tree and what she would have understood by the words that He spoke to her. “When Jesus therefore saw his mother, and the disciple standing by, whom he loved, he saith unto his mother, Woman, behold thy son! Then saith he to the disciple, Behold thy mother! And from that hour that disciple took her unto his own home”. John 19:26-27. Mary had been chosen and highly favoured to bear the promised seed of the woman of Genesis 3 and Israel’s Messiah. As well she had provided for Him as a baby and young child and she did it well. Now, her purpose was finished as far as the plan of Redemption was concerned, and I think that by His words He was telling her that, and that this remarkable woman understood what he was saying. It is interesting to note that while He had contact with Mary Magdalene and Mary the wife of Cleopas after His resurrection, there is no record of any personal contact between the Lord and His mother. Mary is mentioned once more in Scripture. “Then returned they unto Jerusalem from the mount called Olivet, which is from Jerusalem a Sabbath day’s journey. And when they were come in, they went up into an upper room …all continued with one accord in prayer and supplication, with the women, and Mary the mother of Jesus, and with his brethren” (Acts 1:12-14). As we can see there is not a lot of information given in Scripture about Mary, the mother of our Lord. Anything else that is written about her has no basis as far as the Bible is concerned. If there is not much written about Mary, there is even less written about Joseph. “Now the birth of Jesus Christ was on this wise: When as his mother Mary was espoused to Joseph, before they came together, she was found with child of the Holy Ghost. Then Joseph her husband, being a just man, and not willing to make her a public example, was minded to put her away privily”. Matt. 1:18-19. As well as loving her, Joseph was a just man. Before the appearance of the angel of the Lord to explain what was happening he had decided not make it public that she was pregnant because of the shame that it would bring her. As well as being a just man he must have loved Mary deeply. God decided to soften the blow that Mary’s news must have been to Joseph by appearing to him with the explanation of the events that he found himself caught up in. “But while he thought on these things, behold, the angel of the Lord appeared unto him in a dream, saying, Joseph, thou son of David, fear not to take unto thee Mary thy wife: for that which is conceived in her is of the Holy Ghost. And she shall bring forth a son, and thou shalt call his name JESUS: for he shall save his people from their sins. Now all this was done, that it might be fulfilled which was spoken of the Lord by the prophet, saying, Behold, a virgin shall be with child, and shall bring forth a son, and they shall call his name Emmanuel, which being interpreted is, God with us. Then Joseph being raised from sleep did as the angel of the Lord had bidden him, and took unto him his wife: And knew her not till she had brought forth her firstborn son: and he called his name JESUS”. Matt. 1:20-25. God had spoken and Joseph believed God. The baby (brephos) had grown into a young child (paidion) by the time the wise men came to worship and was old enough to more easily travel. “And when they were come into the house, they saw the young child with Mary his mother, and fell down, and worshipped him: and when they had opened their treasures, they presented unto him gifts; gold, and frankincense, and myrrh. And when they were departed, behold, the angel of the Lord appeareth to Joseph in a dream, saying, Arise, and take the young child and his mother, and flee into Egypt, and be thou there until I bring thee word: for Herod will seek the young child to destroy him. When he arose, he took the young child and his mother by night, and departed into Egypt”. Matt. 2:11-14. Again Joseph was obedient to God and the Son of God’s life was saved. After the death of Herod, an angel of the Lord appeared and told Joseph that it was safe to return to the land of Israel and Joseph took his family home (Matt. 2:19-21). The fact that the Lord Jesus was not Joseph’s son was kept secret by this faithful man. The evidence of this is recorded in Matt. 13:55, Luke 3:23 and John 6:42. “Is not this the carpenter’s son? is not his mother called Mary? and his brethren, James, and Joses, and Simon, and Judas?” Joseph fades from the pages of Scripture. What a mighty part Mary and Joseph played in the birth of the Redeemer, although the record of that part takes only a few verses of Scripture. The part of Mary was more spectacular, but both are a lesson for us because God spoke and they believed Him. That, in a nutshell, is what faith is, isn’t it?